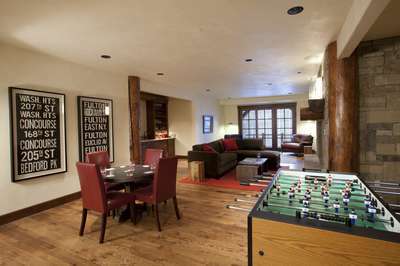 The Chill Out is part of our Snowmass luxury property rental collection. 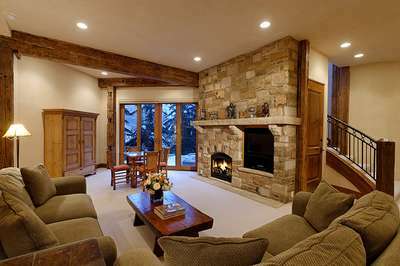 This magnificent, newly re-decorated home is located 250 yards from Adams Avenue, providing indirect ski access to Snowmass Mountain. 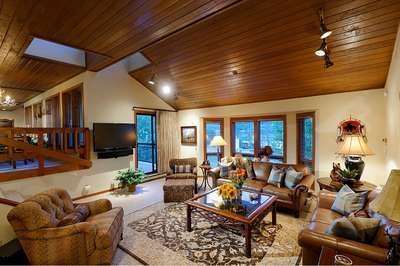 This five bedroom Snowmass luxury property is decorated entirely in an Alpine castle style with rich colors and fabrics, beautiful woodwork and furniture, enticing you to stay home and relax after a day playing in the mountains. Take full advantage of the two decks, outdoor private hot tub and unbeatable views this house has to offer. Indirect ski access (250 yards to Adams Avenue). Office area with 60" television, fax machine and queen sleeper sofa. 50" television in the living area. 40" television in the kitchen. Two large decks and two car garage.